Welcome to Flawed yet Functional! I am a Type 1 Diabetic managing my blood sugar levels through diet, exercise, and habits WITHOUT insulin. Sound amazing? Read more here. I hope to inspire you to do amazing things with your health too. Even if you don’t have a life-long disease like I do, you can take steps to improve your long-term body and brain health and that of your family. Thanks for joining me! I am approaching 150 days on the Autoimmune Protocol. I have only made it this far by discovering truly delicious food that both my family and I love to eat. This week I’d like to do a mini-series on my top 5 Autoimmune Protocol breakfasts, lunches, and dinners. 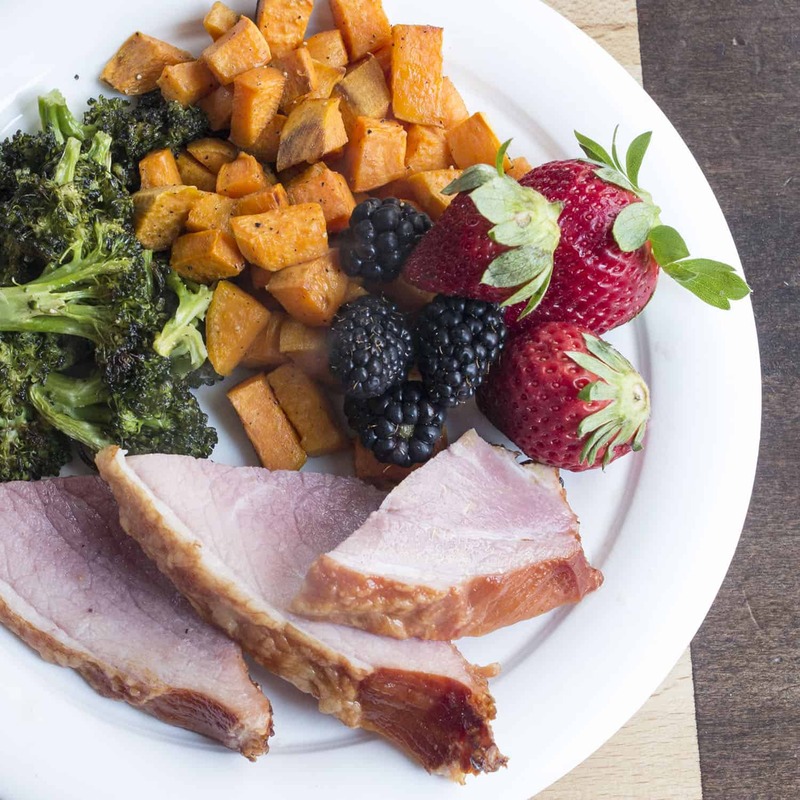 If you’d like to give this diet a try but don’t know where to start, try these 5 recipes first! They are tried and true for my family! 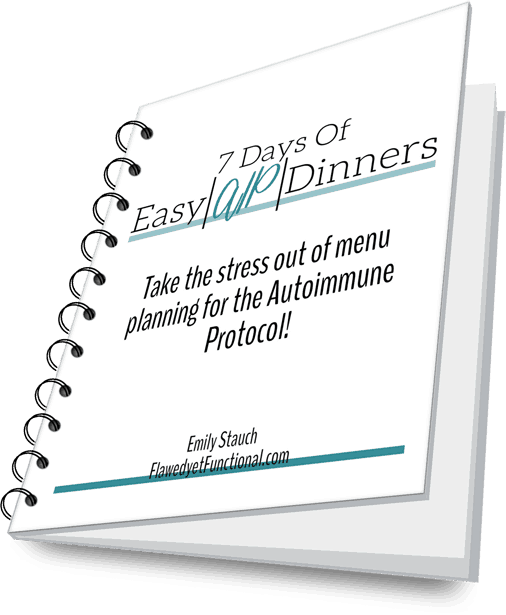 I began the Autoimmune Protocol in February of 2017 with the full knowledge that breakfast would be the hardest meal of the day. No eggs. No grains. That basically summed up my breakfasts prior to my diabetes diagnosis! We had oatmeal or eggs every single day. I loved oatmeal because it was hearty and quick. Quick breakfasts were out the window for a while, a fact I had to come to grips with very quickly. While this all-important meal of the day did intimidate me at first, I stuck to the AIP diet and found my rhythm. 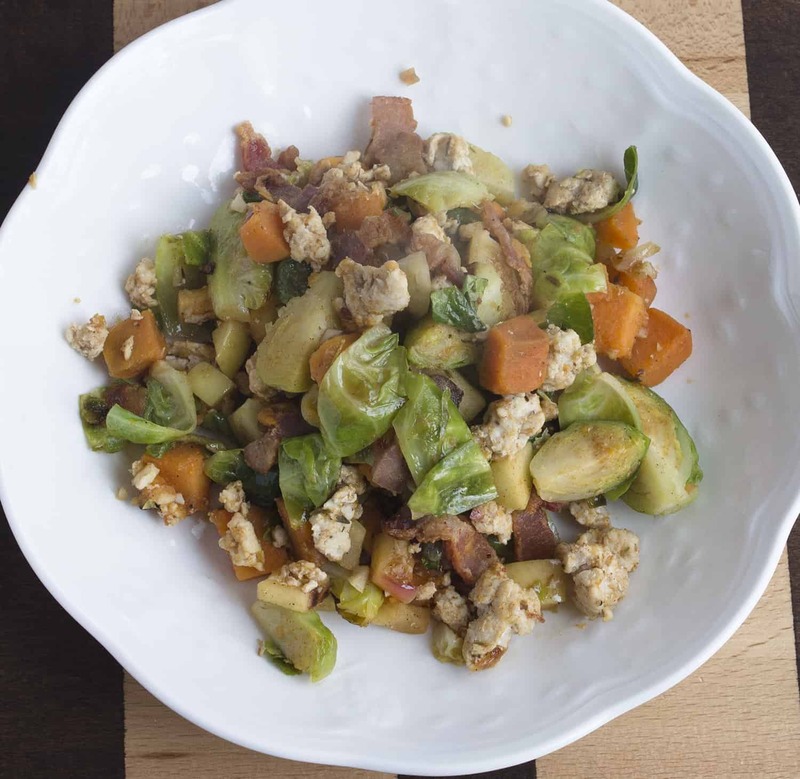 Breakfast IS possible without sweets, grains, and eggs. I know you might not believe me, but it’s true! These are recipes I’ve made over and over again with great success for my family and me. I developed this recipe in a hurry one morning, and it quickly became a go-to. 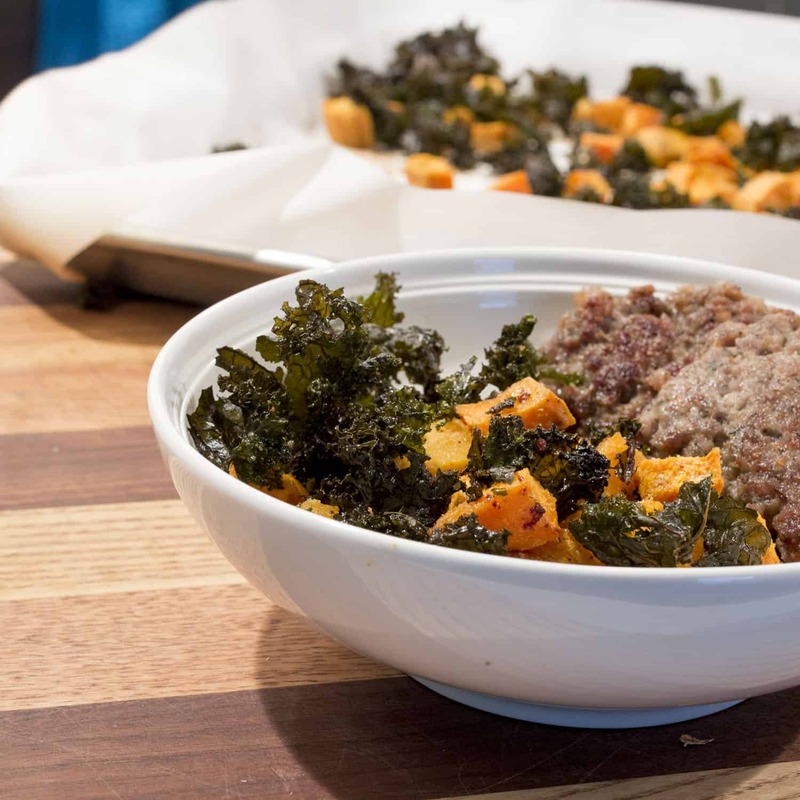 The juxtaposition of textures is perfection: crunchy kale and soft sweet potatoes both filled with roasty flavor. I make our own breakfast sausage, and my current favorite recipe is sage heavy. I love sage. Most breakfast are just these two dishes, but if I have avocados, I eat half of one to get more fat in my diet. This breakfast is a winner! Hash is a regular at our table. 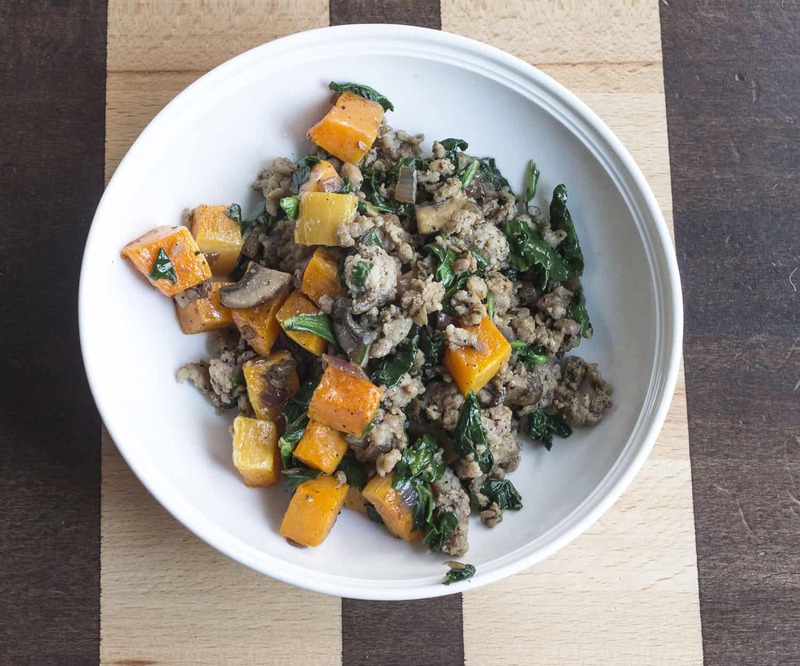 I make it all kinds of ways, but the mushroom and roasted butternut squash in this one is killer. This is a complete meal all on its own: meat, vegetables, fat, and aromatics. I don’t usually add anything else to the plate, just the hash. 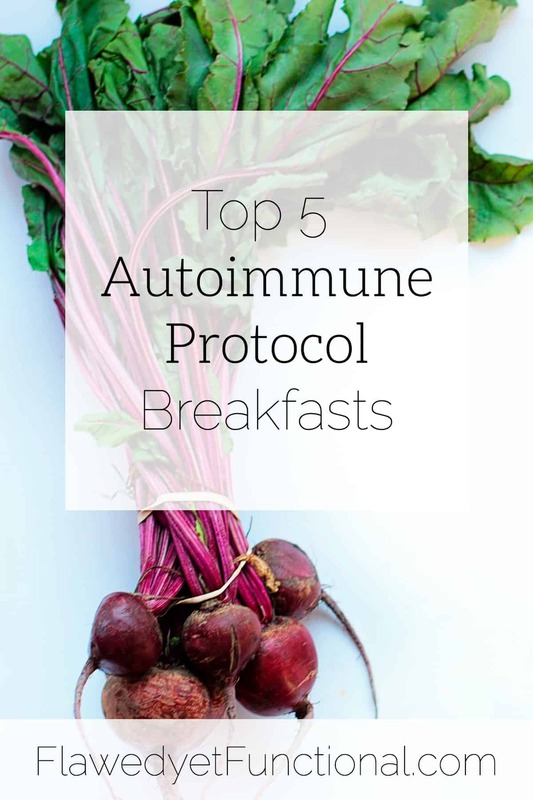 Don’t overthink an Autoimmune Protocol breakfast! Roast two vegetables: one light on carbs and one heavier then add meat and fruit. Done! Roasting sweet potatoes with olive oil, salt, and pepper is easy and delicious. I usually toss some garlic powder on the broccoli, but it is just as delicious with only olive oil, salt, and pepper. The ham I sliced then briefly warmed in a skillet on the stove (Very briefly! It dries out quickly!). Fresh berries are a bonus if you have some in season. Nothing crazy here, just good, nutritious food. Truth: this one is prep-heavy. It isn’t in our regular rotation because of the amount of chopping involved. HOWEVER, it rocks. It’s so good with a great variety of vegetables in it. I recommend making it on the weekend or a morning you aren’t pressed for time. It’s delicious! Honestly, once you take the dive to improve your diet, you will find so much good flavored and good for you food. You will not be missing your old breakfasts! Well, you might miss the ease of them, but that will be made up for in how good you feel after eating these recipes! That wraps up my top 5 Autoimmune Protocol breakfasts. Enjoy! Have you tried any AIP recipes? Do you have any favorites to share? What are your go-to breakfasts?